Fertility is different for every woman and starts to decline at different ages for each woman. Typically, around 38 we start to see a decrease in fertility but also a rise in risk for genetic abnormalities like down syndrome. 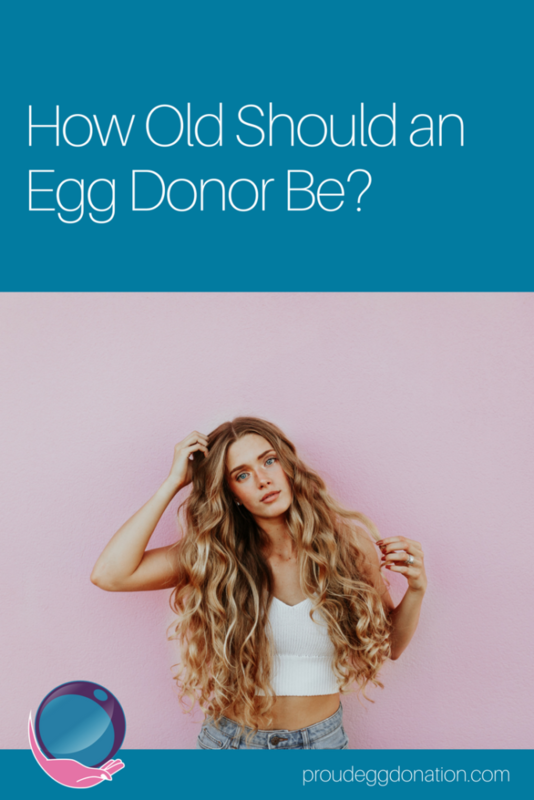 For those who have diminished ovarian reserve, doctors in North America will typically recommend finding an egg donor- but what’s a good age for your egg donor to be? This varies a lot depending on where you live. The US fertility system has a preference for ultra young donors in their early 20s, Australia tends to push for their donors to have completed their own families before donating so donors tend to be in their late 20s or mid-30s more often, commonly using donors that are 32-36. In Canada, clinics will typically recommend donors between 19 and 34. There are a lot of factors that might go into making an egg donation a ‘good’ one. While the risk to donor health is minimal (as far as we know), it certainly is possible that something could happen to future fertility if something went wrong. Should egg donors be encouraged to complete their own families before donating? This means accepting that more donors will be in their 30s when they’re ready to donate. Are donors who are 19 years old really ready to donate? Speaking from personal experience, I believe I have more life experience to reflect on and in my 30s I’m more equipped emotionally to make an informed decision about how to donate, who to donate to and how those relationships with my intended parents and their children form a complicated web that I’m very much a part of. I also feel much more able and confident to advocate for myself with medical professionals (which egg donors need to do plenty of). I wouldn’t have necessarily made the same decisions when I was much younger. Fertility can decline at different levels for different women, some in their 20s might already have diminished ovarian reserve and others may have peak fertility into their 30s. Getting the initial testing done, including an antral follicle count (AFC) ultrasound done is the best way to determine who will make a ‘good’ donor. Don’t discount donors in their 30s, their fertility could be just as good as someone who is in their early 20s and perhaps they might be more equipped in making decisions that take that web of relationships into account.